The Marmolada and the Sella Group (famous the world over for its ski roundabout the ‘Sellaronda’) have always been favourite destinations of ‘heli-skiers’. 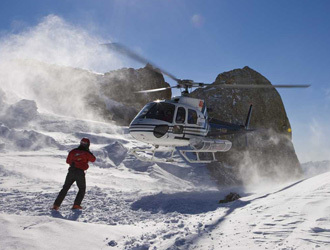 It’s no coincidence that the Autonomous Province of Trento and Bolzano, along with the Valle d’Aosta Region, are the only authorities in Italy to have passed legislation regarding heli-skiing. Province relaxed things and raised the limit for landing and take-off from 1000 to 1600 metres. But the most worrying situation is undoubtedly in Alto Adige/Sudtirol where a private company has been granted permission to take off from Passo Gardena and Monte Cherz, above Passo Campolongo in Val Badia. And in many cases we’re not even talking about heli-skiing because the passengers pay very high fares for a 10-minute tourist flight. 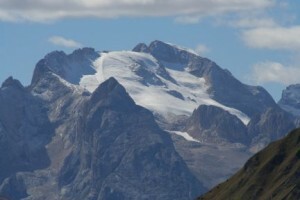 I do understand the holidaymakers,’ concluded Casanova, ‘as I too fly across the Dolomites for work, and some days it’s simply breathtaking, but the environment is being subjected to very serious damage.’ But as of today, at least on the Marmolada, chamois and black grouse will be able to enjoy a quiet winter.